Moving office spaces can become stressful and overwhelming. Without even realising, we can accumulate mounds of paperwork, electrical equipment and furniture. How do you decipher between what’s worthy of being kept, and what needs to go? It depends greatly on your specific situation, your current and new office space, your field of work, and several other contributing factors. However, there are certain things that are consistent across many workspaces. 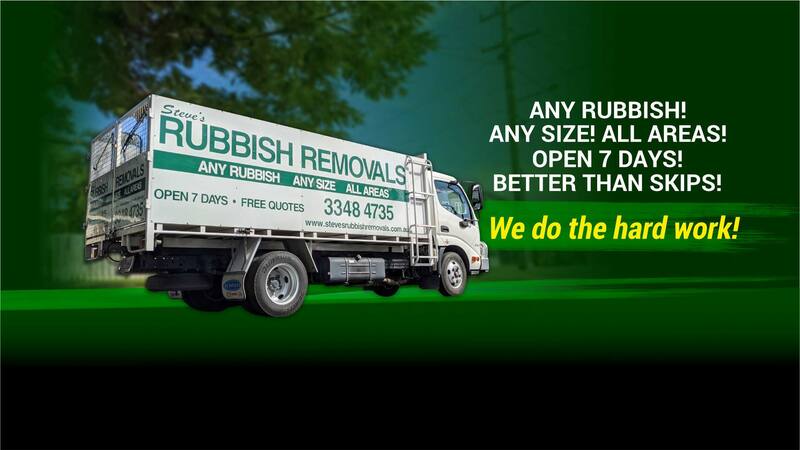 The team at Steve’s Rubbish Removal Brisbane we have got the low-down on what to keep, what to throw, and how to go about it. Get ready to form your office move checklist! There are some things that we aren’t destined to let go of… just yet! You may uncover the urge to throw these things amidst the move, however we recommend holding on tight! Deeds, auditor reports, financial statements and tax returns should be kept permanently! The prospect of office relocation and a new workspace design can be exciting. However, don’t let the excitement overshadow the fact that some of your current office furniture could contribute to the beauty of your new space. Things like artwork and greenery are great for enhancing a space and can positively impact employee productivity. It’s also a nice touch to maintain a little tradition between your new and old office by keeping some similar features. Take note of any pieces of timeless furniture in your current office. Re-using these will stop you from falling into a trap of furnishing your new office based on fads or trends. It’s the sad truth that all good things must come to an end. When moving offices there are some things we must leave behind, whether they’re new, old, or just of no use. While it’s important to keep certain legal documents, it’s okay to be a little ruthless with disposing unnecessary paperwork! This can include brochures, old marketing materials and advertising packages, out-dated trade and other directories, old resumes, old trade journals, and out of date magazines. The amount you dispose of can also serve as a reminder to limit paper use in the future! If there is unused furniture taking up space in your current office, and it’s not in good enough condition to resell, it’s time to go! Unlike your employees, the furniture’s productivity will not increase under a new office design. It may have been an expensive and innovative piece of equipment earlier in its life, but those days are gone. Out-dated electronic equipment can include old computers, telephones, photocopiers, printers and calculators. Remember it’s important to recycle your E-waste in an eco-friendly manner (which we can help with)! While the idea of throwing all your unwanted office supplies out the window seems entertaining; there’s an even easier way to get rid of it! You don’t even need to lift a finger! The team at Steve’s Rubbish Removals specialise in commercial waste removal and can assist the removal and recycling of furniture, fittings and E-waste. Save yourself time, effort and potential danger. Plus, we know exactly where to take your unwanted waste! Don’t be afraid to ask for help when moving office spaces in Brisbane, you’re not alone!